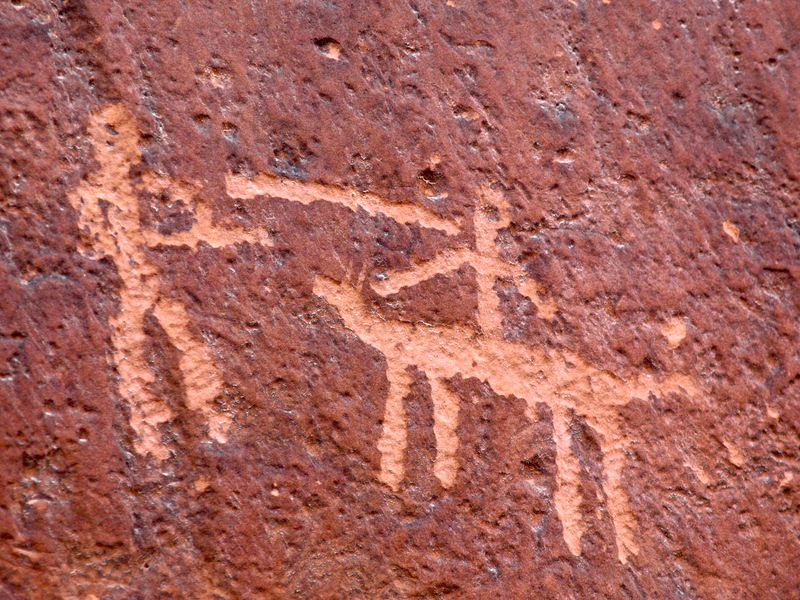 Petroglyphs are treasures: rock art created centuries ago by people both mysterious and familiar. Why did ancient people write on walls? Probably for many of the same reasons that modern people do today. 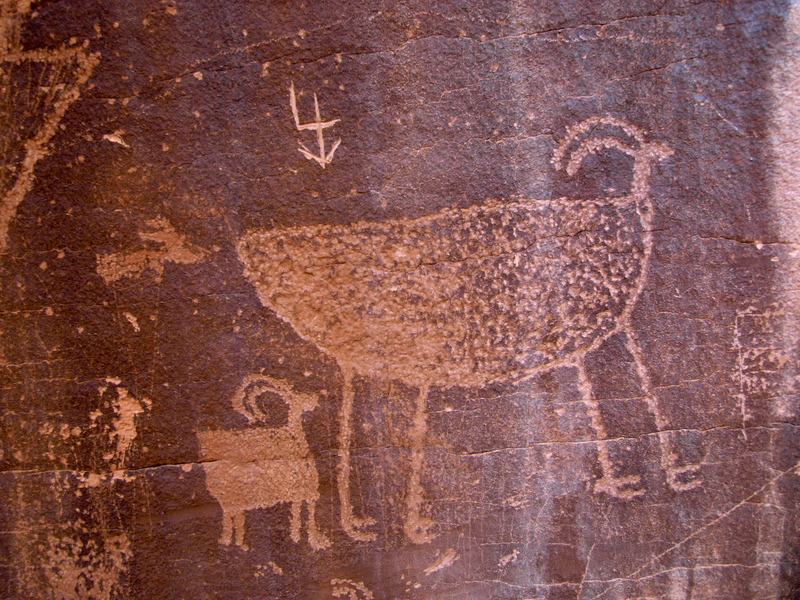 Here are a few of my favorite petroglyphs from the past week in Utah. Some of these I read about in guide books, some I was told about by locals and a few I just stumbled upon while wandering in canyon country. Enjoy! Monster Men near Glen Canyon. 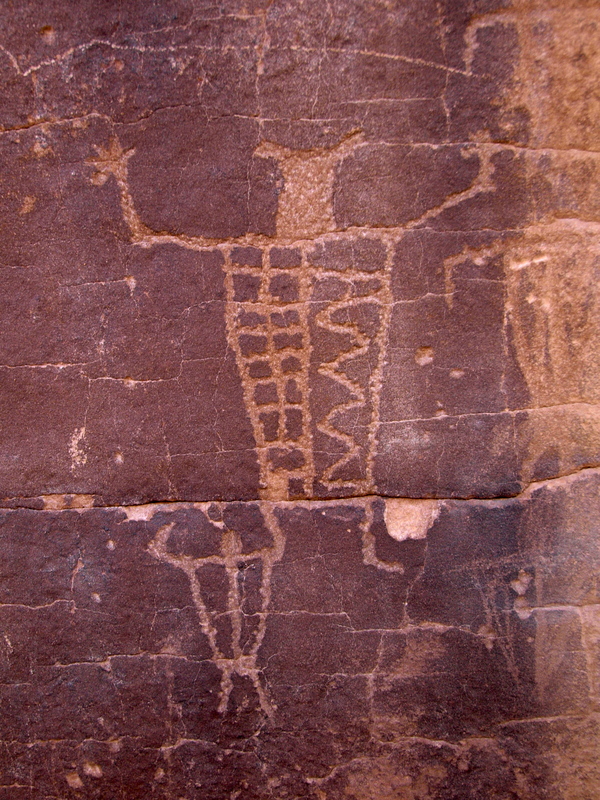 One of the petroglyphs I stumbled upon on my own. Love rock art? 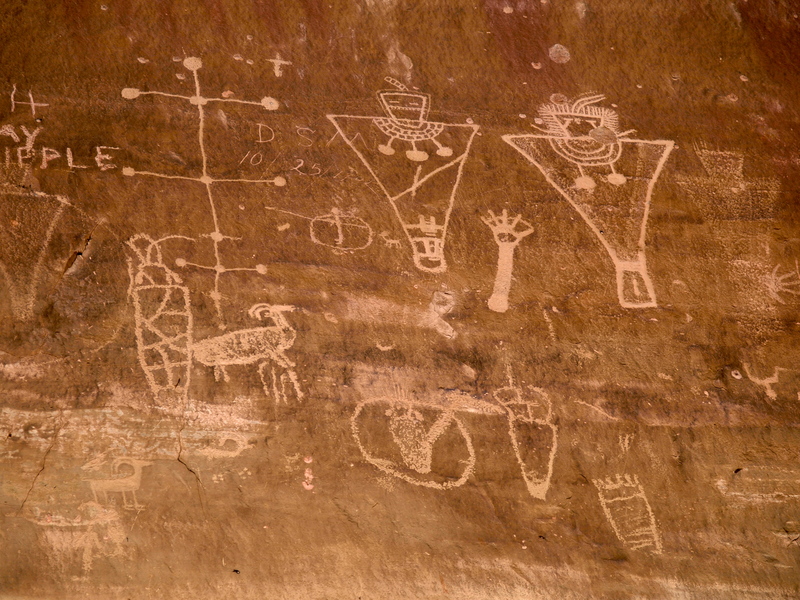 Check out my previous posts on Urban Petroglyphs and Geologic Unrest and the Sego Canyon pictographs. Love graffiti? Me too! This entry was posted in Hiking!, Photography, Road tripping!, Uncategorized. Bookmark the permalink. I went to an exhibition last week at the British Museum, entitled Ice Age Art: Arrival of the Modern Mind which was brilliant. I love all that Neolithic stuff. Will post about it soon, but saw some great (up to 40,000 years old) carvings and figures, and art created on mammoth tusks etc.Very cool and thought provoking. These are wonderful. Many are probably quite recent – the horse being introduced by Europeans 400 or 500 hunderd years ago, and the bow and arrow only coming into use about 1200 years ago. 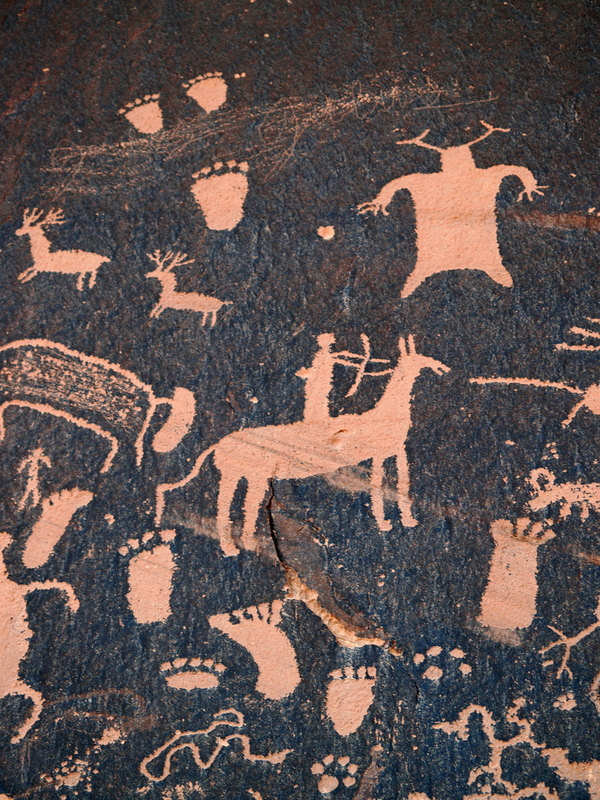 really cool photos, I love petroglyphs. I’ve seen the ones at Sego. I was told there was a glyph of a life size man. Have you seen it? I never found it. 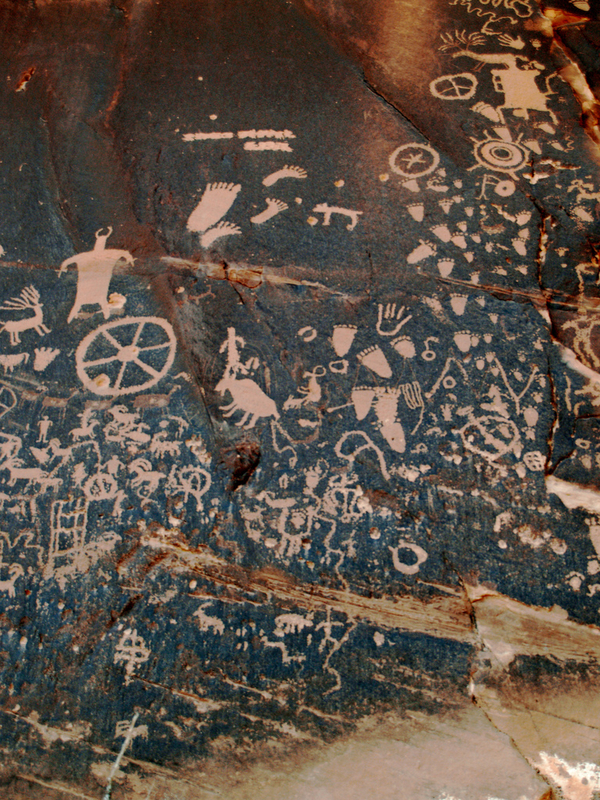 I’ve been to some of these sites to see the petroglyphs personally. Pretty cool!